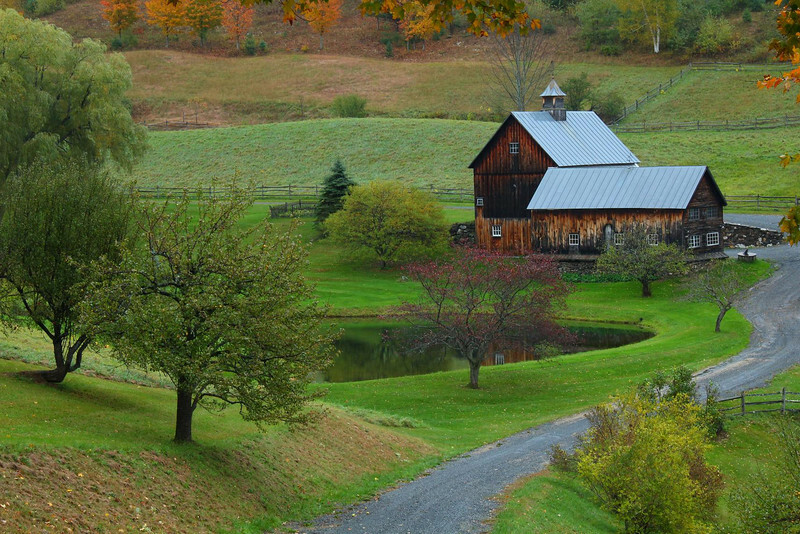 Sleepy Hollow Farm, north of Woodstock, Vermont on Cloudland Road. This farm was for sale when I saw it. I have been told the asking price is under 4 million. Aerosmith guitarist Joe Perry bought it in 2005. Thanks, Linda, for your insider info! Great first image for your gallery. I'm thinking of going up there in October and visit some of these bridges. Thank you Linda for the kind comment and the corrections! I appreciate the chance to get the price and date right. I remember researching the purchase date and must have typed it wrong. Taking photos of that scene will always be a favorite memory of mine. Both the farm and Cloudland Road it sits on were as beautiful as any rural scene I have ever enjoyed in person. Like many wonderful scenes in Vermont, you need to know where to look to find them, but the hunt is worth it.